Gatorade began making sports beverages at the University of Florida in 1965 and has evolved into one of the world's leading sports nutrition and performance research companies. Gatorade's G Series offers three beverages to assist with various phases of training. The Prime formula contains a blend of carbohydrates and vitamins to promote energy. The Perform edition uses the original Gatorade formula and is designed for optimal hydration. The "Recover" formula contains proteins and carbohydrates to promote post-workout recovery. Calories provide energy to the body, and the number of calories in a sports beverage can provide an indication of that beverage's energy-producing value. A highly active individual should consume about 23 calories per 1 lb. of body weight, according to the National Strength and Conditioning Association. A serving of Perform Gatorade, or 8 oz., contains 50 calories. One pouch of Gatorade's Prime formula contains 100 calories, and 8 oz. of Recovery contains 60 calories. Sodium is an electrolyte and assists with maintaining the acid and water balance in the body, and can also affect muscle contraction, MedlinePlus explains. The body loses electrolytes through perspiration, and Gatorade's electrolyte content is one of the reasons the drink can be more effective for hydration than drinking water alone. 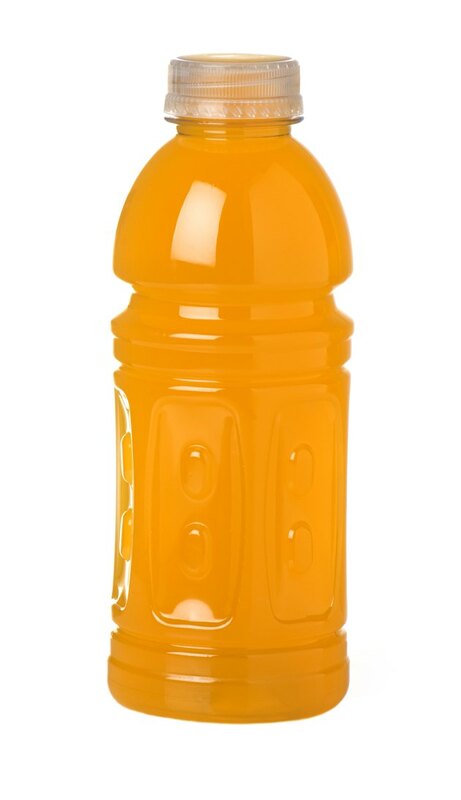 A pouch of Gatorade Prime contains 110mg of sodium, about 5 percent of the daily recommended value. Perform and Recover contain 110mg and 120mg, respectively. Potassium is another electrolyte lost through perspiration. Gatorade's Perform contains 30mg of potassium, about 1 percent of the daily recommended value, while Recover contains slightly more at 45mg. The Prime formula does not contain any potassium. In addition to fluid and acid balance, potassium also plays a role in growth, cellular function and nerve stimulation. Carbohydrates are compounds that are easily broken down and enter the bloodstream to provide the body with energy. About 45 to 65 percent of total caloric intake should come from carbohydrates, but athletes usually need more.Carbohydrate loading, or intake of as much as 12 times the normal carbohydrate consumption, has been shown to enhance performance, according to the National Strength and Conditioning Association. The Gatorade Prime formula contains 25g of carbohydrates, while the Perform and Recover formulas contain 14g and 7g, respectively. Protein is a macronutrient that is needed for tissue growth and repair. Athletes are at an increased need for protein intake because of the demands they place on muscular tissue. Protein is not a common ingredient in sports drinks, but Gatorade supplemented its Recover formula with 8g of protein, or 8 percent of the daily recommended value. Highly active individuals may need to consume up to 1.5 to 2g of protein per 1kg of body weight each day, and Gatorade's Recover formula helps with this goal. Gatorade's Prime formula is supplemented with vitamins to help promote extra energy and to optimize the burning of carbohydrates during activity. Each pouch of Prime contains about 10 percent of the daily recommended value of niacin, vitamin B-6 and pantothenic acid, which aid in energy metabolism. The Perform and Recover formulas do not contain extra vitamins or minerals.